First Hit , Last Hit and a few milestones in between. Also, the glove Jim used in his last year in 1989. 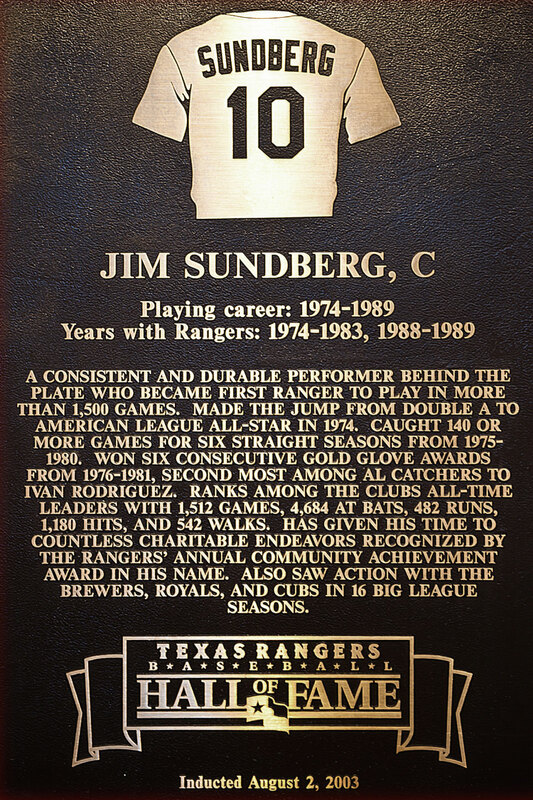 Texas Rangers Baseball Hall of Famer, Jim Sundberg, who was born and raised in Galesburg, Illinois where his baseball skills, drive, and competitiveness to pursue excellence were groomed as a youngster. He made All-American honors as a senior in high school in 1969. Jim was also drafted out of high school in June of 1969 by the Oakland A’s, but he decided to attend the University of Iowa on a baseball scholarship. His strong work ethic was forged through observing the discipline of his father, who upon retirement after 33 years, historically working two jobs, had accumulated over 14 months of sick leave at his primary job location for the Post Office. This observation about his father would later impact Jim to be called by many as the Ironman of Major League Catchers. At the University of Iowa, where Jim pursued a bachelor’s degree in business, he would claim All-Big Ten and All-American honors. While at Iowa, Sundberg would lead the Hawkeyes to the Big Ten Championship in 1972 and their lone College World Series appearance. Before his departure at Iowa, Jim would be drafted two more times upon signing with the Texas Rangers as their #1 pick in the January draft of 1973. 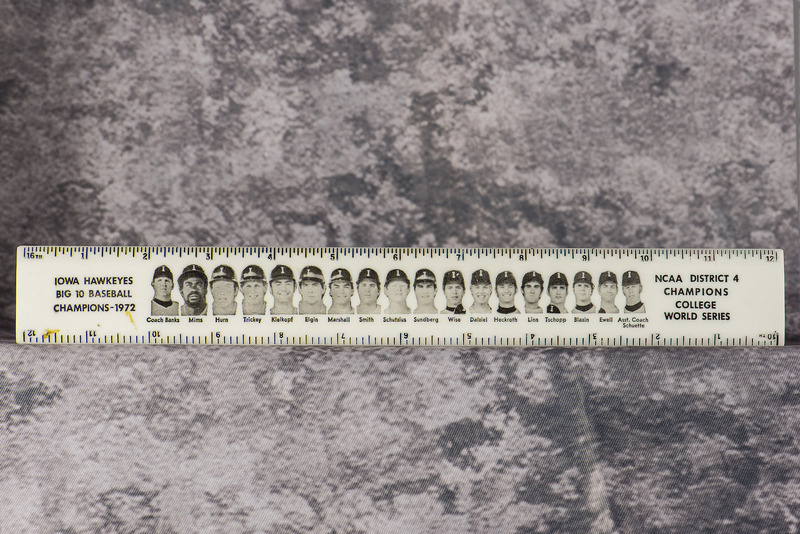 A ruler created for the Iowa Hawkeyes in 1972 when they became the Big 10 and District 4 Champs. It was the only time the Hawkeyes went to the College World Series. 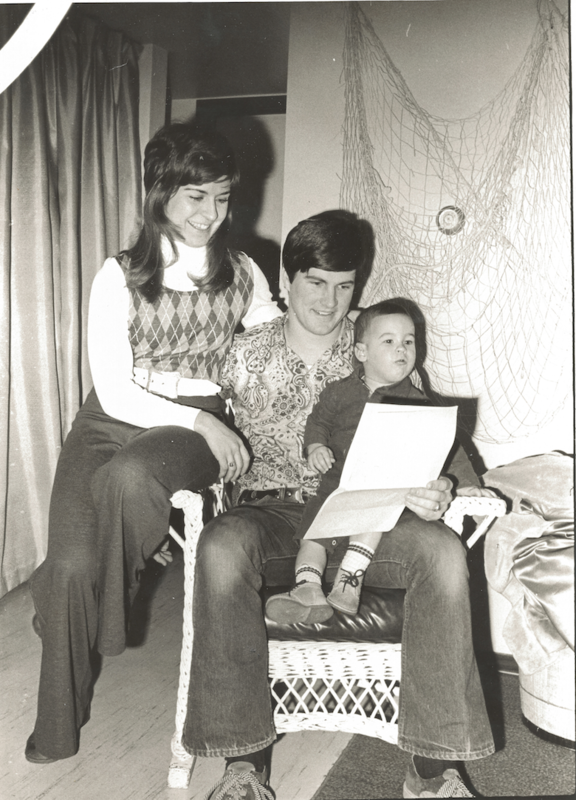 Jim, Janet, and infant Aaron pictured in their Iowa City apartment at the signing of Jim’s 1st contract with the Rangers in 1973. Jim played that year in Pittsfield, MA in AA ball, before being brought to the Big Leagues by Billy Martin the next year to start his MLB career. 1st MLB hit in 1st game off Ken Holtzman of WS Champs Oakland A’s on 4/4/74. 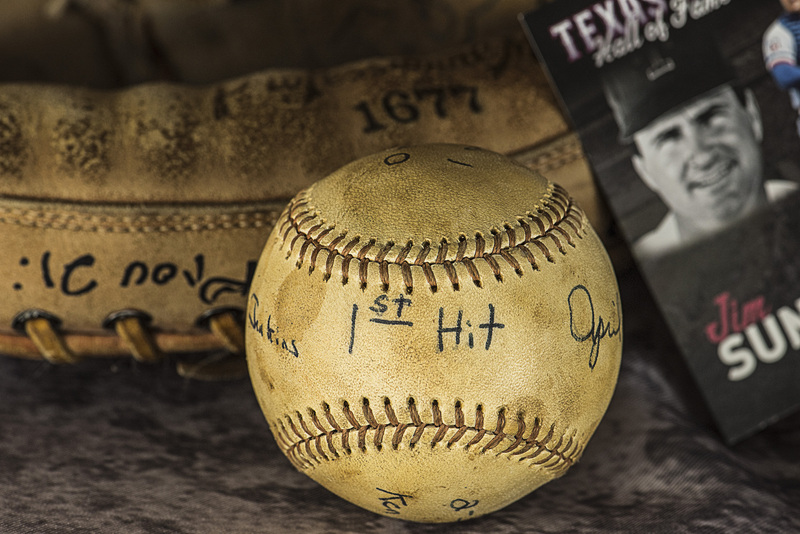 Jim caught childhood idol and HOF pitcher Ferguson Jenkin’s 1-hitter in Rangers win. After a short one year in 1973 at the Texas Rangers AA Team in Pittsfield, Massachusetts, Rangers manager, Billy Martin, tapped Jim as his starting catcher. His rookie season of 1974, he was edged out as American League Rookie of the Year by teammate Mike Hargrove. In the following year, Jim would establish his reputation for “Iron Man.” His uncanny endurance and toughness set the American League record for most games caught in a season with 155 games, a record that still stands today. In his first ten seasons in the AL with Texas, he would average 140 games and never spent time on the disabled list. He coined the phrase that “good things happen when you keep showing up”! One of the top defensive catchers in Major League history, Sundberg won six Gold Glove awards and was a three-time American League All-Star. Jim still ranks in the top in many of the Rangers all-time club records. 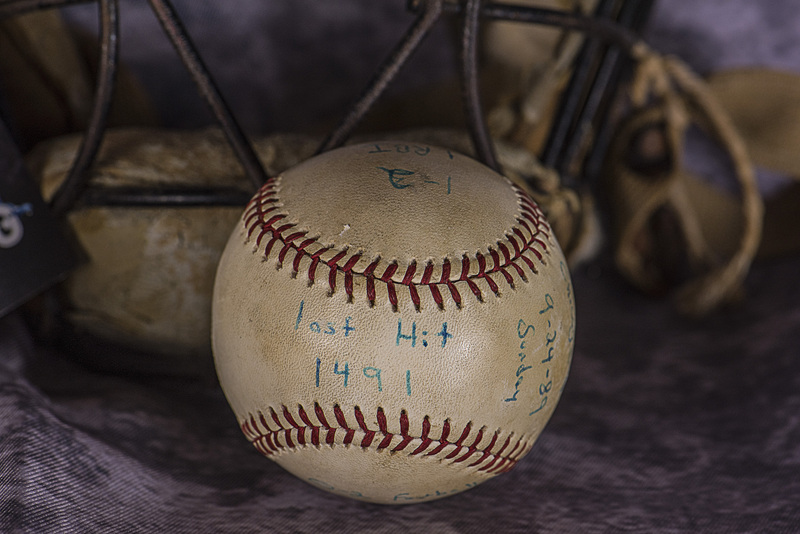 Upon conclusion of his career in 1989, he would rank # 1 in games caught in Major League history but would eventually be pasted by several fellow colleagues. Three of those catchers, Bob Boone, Gary Carter and Carlton Fisk, were challenged as a group by Jim in 1984 during a vacation trip, to pass Hall of Famer Al Lopez, who at that time, led with 1918 games. All would eventual pass Lopez to set a new standard of excellence for catchers. Not as a coincidence and almost as a thank you to his father, Jim would finish with 1927 games caught, the year his father was born. Jim was a member of the 1985 World Champion Kansas City Royals, the first team ever to come from behind in a series 3 games to one and win. The Royals accomplished this twice that year doing it again verses the St. Louis Cardinals in the 1985 World Series. Jim scored the winning run in memorable game six by making a head first slide in the last inning win over the Cardinals that sent the series to its final game. He was voted “World Series Hero” by the Chicago Sports Writers for that play. Jim also led the KC Club in RBI and runs scored for the 1985 Series. 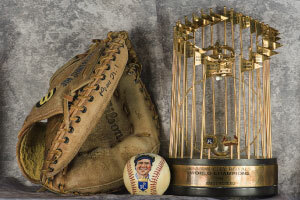 Last catchers glove used, World Series painted portrait ball and Kansas City Royals World Series trophy. Last MLB hit in last game on 9/24/89. Jim caught friend and HOF pitcher Nolan Ryan in Rangers Win. 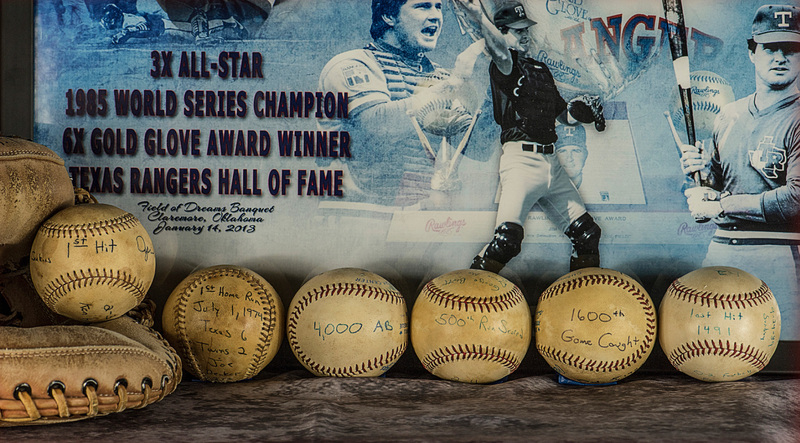 Altogether Jim would catch 8 HOF pitchers. 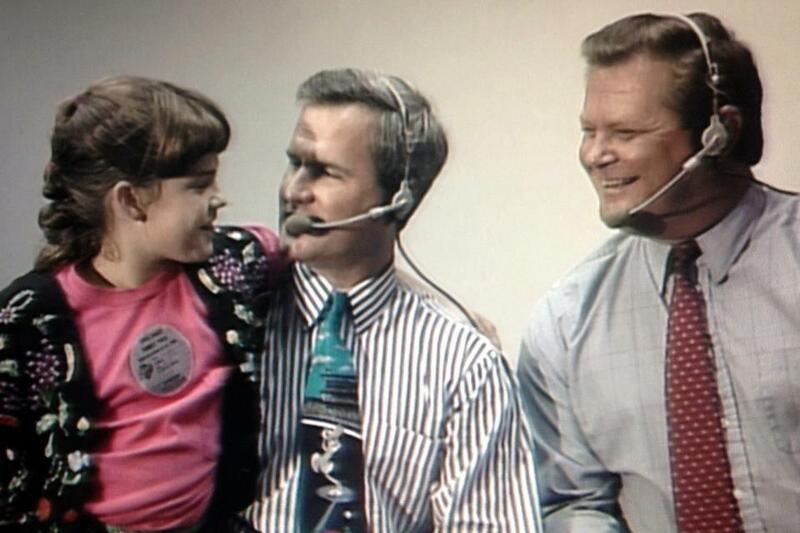 Jim with daughter Briana in the TV booth with Steve Busby. Steve and Jim won broadcasting honors in their last year together in 1995. After making tremendous efforts in the community during his playing days, the Texas Rangers placed Jim’s name on the club’s community service award beginning in 1989. He retired at the end of the ‘89 season following a 16-year major league career with the Rangers, Milwaukee, Kansas City and Chicago Cubs. Immediately upon leaving the uniform, Jim spent six years as color analyst for the Texas Rangers on their television and cable network. He and his partner, Steve Busby, received recognition in 1995 by a local publication as the best broadcast team for all professional sports in the DFW area. Sundberg spent six years in the private sector starting a company that manufactured and produced sports training products sold in the sporting goods marketplace. His “Practice Planner” and “Skill Drills” products became highly used in baseball and softball by coaches, dads, and moms teaching youth sports. During this time, he and Janet co-wrote the book “How to Win at Sports Parenting: Maximizing the Sports Experience for You and Your Child” available at Amazon.com. The book is based on their experiences garnered from watching their three children play sports in the highly competitive Dallas/Fort Worth, TX area. A member of the inaugural class of the Texas Rangers Hall of Fame, Jim returned to baseball in 2002 serving as the Rangers catching coordinator from 2002-2004. In 2004, added to his duties were Director of Business Development where he made significant gains in all areas of ticket sales, while establishing the first family and faith ticket promotions at the ballpark. 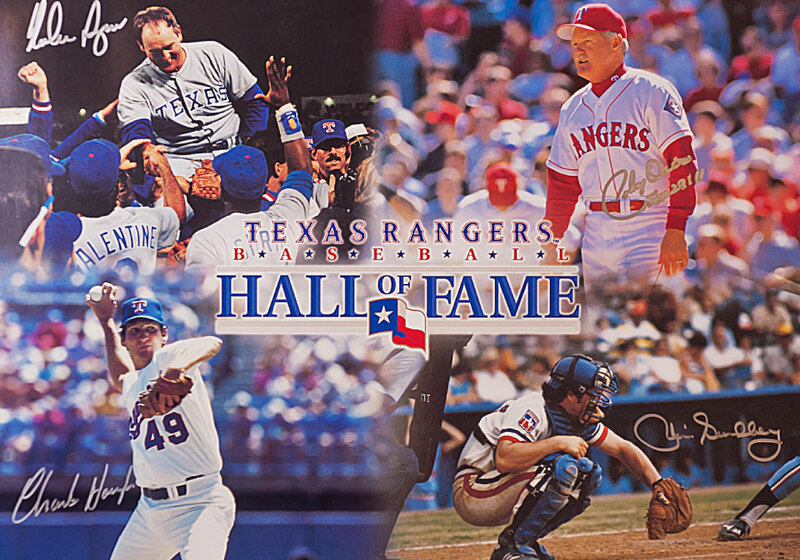 Jim inducted into the Texas Rangers Hall of Fame in its inagural year in ’03. 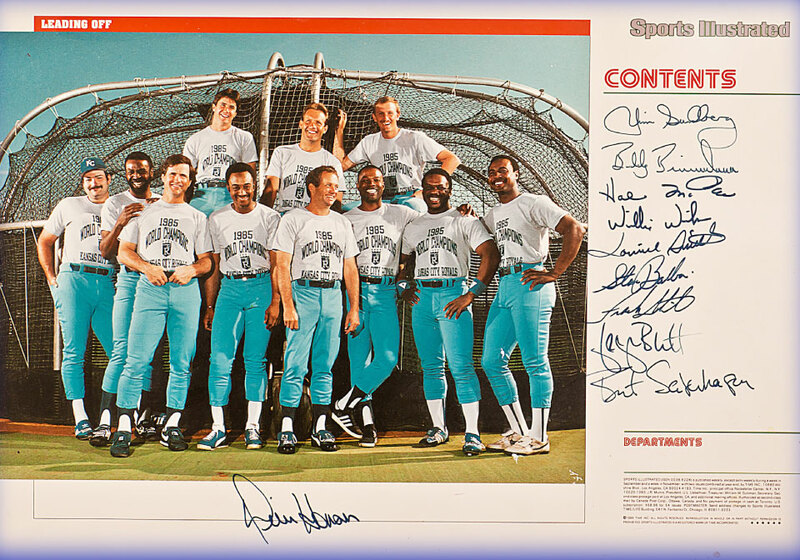 ’85 World Series Champions Kansas City Royals, Inside cover of Sports Illustrated in Spring of ’86, taken in Ft. Myers, Florida spring complex. The inagural class of Rangers HOFer’s, Nolan Ryan, Johnny Oates and Charlie Hough. “This was the most sentimental induction in Rangers history due to Oates terminal illness”. Jim was promoted to Executive Vice President, Communications & Public Relations in 2007 under then President, Jeff Cogen. It was under this position that Jim began to make his most influence decisions to enhance the Texas Rangers brand while out of uniform. He initiated, brokered and influence then owner, Tom Hicks, the return of Nolan Ryan to the Rangers as President in early 2008. After Nolan’s return, Ryan appointed Sundberg Senior Executive Vice President, in October of 2008. His duties would include significant involvement in both the business and baseball side of operations to help shape the organization. Jim was part of the senior executive team during the 2010 & 2011 American League Championships and World Series. The most significant branding decision was to influence Ryan to transition Rangers marketing to the ever popular TEXAS brand that was and is currently used in merchandise sales and team uniforms. A branding company would later come in and affirm the use of TEXAS as their main marketing theme. Besides his position to influence decision-making on an organizational scale for nearly six years through 2013, Jim in his five years as President of the Texas Rangers Foundation, revenues grew from $1.5M to $3M. Having oversight of the Youth Ballpark, he guided the organization to build a “green monster” fence in left field to save the youth park from demolition during the road construction for Cowboy stadium. Jim also started and ran for ten years the very successful Rangers alumni program named Rangers Legacy Partnership. Another important duty consisted of serving as the club liaison for its spring training facility in Surprise, Arizona having oversight to work with Surprise city officials on all stadium matters. His vision for clubhouse renovation at this facility is in play today. At the completion of his executive duties for the Rangers in July of 2014, Jim had served his last thirteen years with the Texas Club and overall, 35 years in Major League Baseball. Jim has been married to high school sweetheart, Janet Naugle for 43 years and they have three children and eight grandchildren.